MIAMI -- With Hurricane Irma bearing down on South Florida, the Miami Marlins are allowing families of players and staff to travel with the team on their upcoming road trip. "Jeffrey (Loria) ultimately made the decision that all the families are going to get to go with us, travel the whole trip, kids and the whole thing, and really provide a service for our families, which is really very nice of the organization," manager Don Mattingly said, referring to the Marlins' owner. 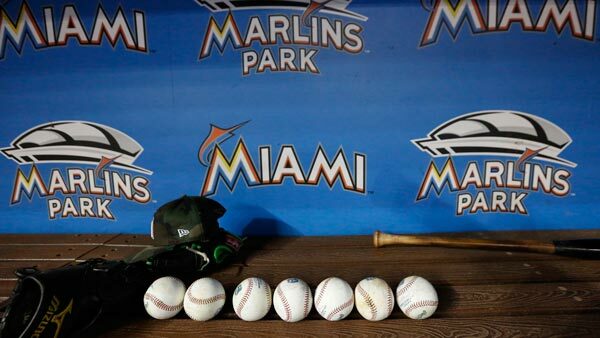 The Marlins will be leaving Miami after Wednesday night's game against the Washington Nationals for a seven-game road trip to Atlanta and then to Philadelphia where they take on the Phillies beginning September 12 at Citizens Bank Park. "We all feel the same way, you all feel the same way too. If you had your kids here and you're leaving on a trip, it's not the best feeling to leave your family somewhere," Mattingly said. "We really don't have a family trip so it is actually probably a good thing. To me, I would like to see us have a couple trips where the families could travel with us and be a part of it. So it's a pretty good opportunity to see what it looks like." Following the road trip, Miami is scheduled to return to Marlins Park on Sept. 15. The Houston Astros had to move a scheduled home series last week against the Texas Rangers to Tropicana Field in St. Petersburg, Florida, because of Hurricane Harvey. Irma, a Category 5 storm, became the strongest hurricane in the Atlantic basin on record on Tuesday morning, according to the National Hurricane Center. Record-breaking Hurricane Irma bears down on Caribbean. Watch this report from Action News at 5pm on September 5, 2017. It could reach South Florida this weekend with the entire state in a state of emergency. "That stuff looks pretty scary," pitcher Dillon Peters said. "Hopefully we miss the storm and we can get out of here. Obviously another hurricane in a big city is not a good thing."